It’s certainly no secret that the current trend in marketing agencies is the heavy incorporation of analytics and optimization based on consumer behavior. This has been a game-changing adaptation in the field of marketing and it would be difficult to overstate the impact that it has made. As a result, often marketers are thought of as playing dual roles, having one foot in the creative space and the other in the analytical. For professionals and clients alike, it’s crucial to understand exactly why this new breed of marketer exists, and why traditional content creation alongside analytics utilization can have the most impactful result. For writers and content creators, being a creative is no longer the baseline or industry standard. A marketer needs to verifiably show, right out of the gate, why he or she is producing the content that is being created for any one client. Effectively, what this means is that the days of throwing content and the proverbial wall just to see what sticks are over. This passive approach to online marketing is archaic and passé — and, as such, remarkably ineffective in today’s world. By understanding web traffic and analytics, a marketer or agency is able to engineer a situation by which viable consumers are drawn in organically to a client’s web presence. These targeted consumers are exponentially more likely to need, want, or buy whatever it is your client is selling. This approach is particularly powerful when it comes to our particular brand of inbound marketing, geared toward small and/or localized knowledge-based businesses. 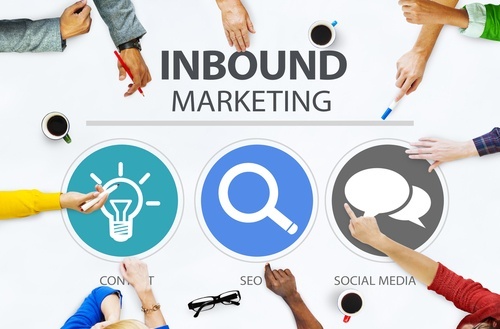 Inbound marketing is all about attracting potential clientele prospects to your company rather than taking the time and effort to go out and track down potential leads. Using analytics allows us to earn the attention of consumers as they tend to make purchases based directly on an ability to demonstrate expertise. Adapting analytics into the content marketing field has quickly become the ideal way to capitalize on any company’s online presence. After all, knowing exactly who it is you’re reaching and why they are paying the client any interest in imperative to converting new leads. For example, inbound marketers know how many people visit their websites — and more importantly, exactly where they came from. Web traffic is more than just a single figure: It is built of complex sets of data that can show not only that your website is getting attention, but where you’ve been getting noticed from the most. Say social media is driving nearly all of your traffic: Well, great! However, now it might be a good idea to work on your SEO optimization or another additional metric. Traffic data shows other invaluable information, such as how frequently your site is being re-visited, detailing how successful your site has been about drawing people back or keeping their interest. Web traffic means precious little if a visitor leaves immediately or fails to explore any of a site’s features. A visitor’s patterns of behavior once they arrive at a site speaks a great deal about how engaging any site’s content is. Thoroughly analyzing the crawl rate alongside subsequent pages visited is a huge part of the analytics game. If your content isn’t proven to be creative as well as informative and engaging, your site’s visibility can take a serious blow.